Netflix’s recent Q1 financial results revealed healthy subscriber growth, much of which the company attributed to its expanding streaming service. At least one analyst believes that a large part of Netflix’s streaming business growth is due to its availability on the Playstation 3, Xbox 360 and Nintendo Wii. Michael Pachter with Wedbush Morgan believes that, based on the numbers posted by Netflix in the first quarter, the company should add about three million subscribers over the course of the year. Pachter says that this growth will be massively boosted by console support for Netflix streaming, which has been added to all three major video game consoles in recent months. For those of you who stream Netflix, Insiders, how many of you do it from a video game console? 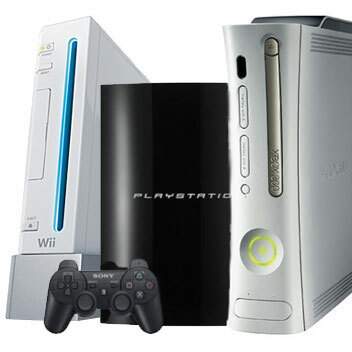 Do the Wii’s relative shortcomings compared to the Xbox or Playstation make it a less desirable streaming platform? “The Wii audience has demonstrated little commitment to buying video games”? At least half of the 10 best selling video games ever are Wii titles. What an idiot. The Wii is like a virus. You expose your friends, they think it is great and go home and buy one. 3 weeks later they get bored of it. When their friends come over, they put it out again and the cycle begins a new. It’s also not a next gen console. It was an update old gen with a user interface that was novel. Yes, they do have some games which are popular, but they also tend to use the wiimote like an old school controller. The New Super Mario bros or Punch out for example. I have a buddy who has high speed internet at his home. The wii isn’t hooked up. It’s not a huge surprise. That is more of a reason for why the Wii audience has shown little commitment to buying video games. If many of the top 10 video games are Wii titles, then customers have shown to play those games repeatedly and not purchase new games. My Wii is in use everyday. I agree with Robert. I stream Netflix through Wii as well and I have no problems with it whatsoever. Not everything in life is perfect or crystal clear. I certainly don’t expect that from my TV viewing. I’ve had no streaming issues with our Wii and Netflix. We are another family who uses our Wii daily. I have a Wii and it’s in use. However, I would not stream Netflix with it. Rather use my BluRay player that has Netflix option.